A top boss is being sought to lead the tourist organisation responsible for promoting some of Scotland’s most beautiful landscapes. Outer Hebrides Tourism (OHT) is looking for a chief executive to spearhead the delivery of its strategy. OHT is the industry body which promotes the Outer Hebrides as a world-class visitor destination and champions and supports tourism businesses. 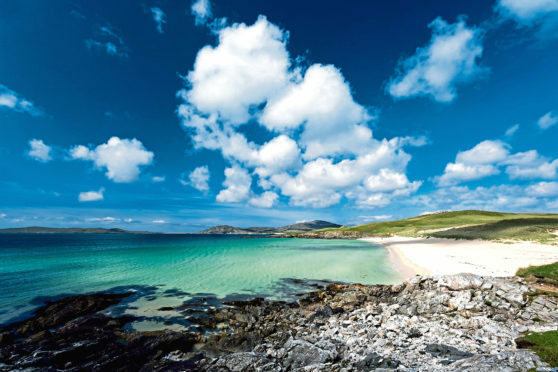 From the northernmost headlands of the Isle of Lewis to the southern tip of Vatersay, the Outer Hebrides islands on the edge of the Atlantic Ocean offer an exciting assortment of entertainments and attractions alongside the peace and tranquillity you would expect from an isolated environment. OHT needs a figurehead who is inspired by and passionate about the islands as a being an excellent place to work, live, visit and study to promote it further. The organisation already has a strong track record in delivering projects such as the Outer Hebrides branding like Eat Drink Hebrides and the Hebridean Way. And it currently employs a full-time tourism development officer who is supported by a board of directors working voluntarily. OHT is well on track to delivering the ambitious Tourism Outer Hebrides 2020 strategy which aims to grow the value of tourism to £74m by 2020. The new chief executive will be tasked with working with the board to continue this good work and to develop its successor strategy.